The dolphin drive hunt in Taiji has finally come to an end for 2012-2013 season, however Japan is unfortunately still on their quest of killing whales. The war currently being played out in Antarctica has the Japanese attempting to harpoon and kill whales in the Southern Ocean Sanctuary under the guise of “research” and for commercial purpose. Sea Shepherd volunteers are currently risking their lives for the whales, as can be seen in the following video. It is alarming that the Japanese whalers will go to such lengths in their attempt to continue whaling in Antarctica. This is simply a display of no regard for the safety of other human beings. 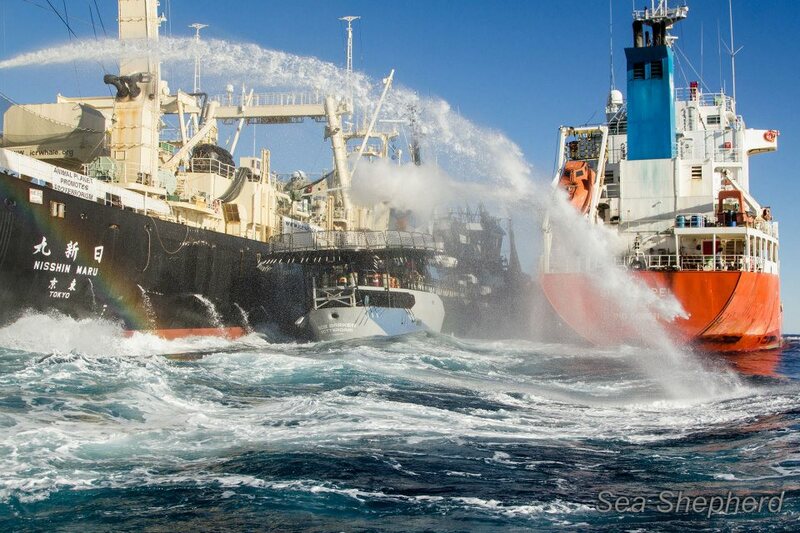 I have watched every season of Whale Wars and am still astonished at what is currently happening! It is highly reminiscent of when the Japanese whalers intentionally ran over and ending up sinking the Ady Gil. 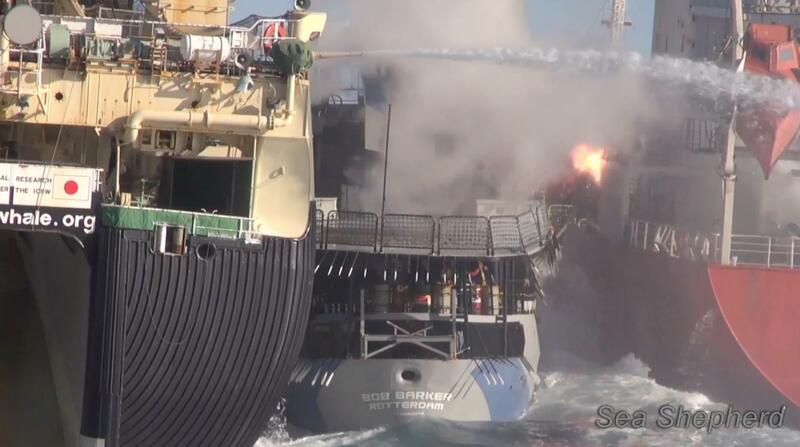 You can see in the following video how the Japanese vessel intentionally turns into the Ady Gil, thankfully no one was injured. 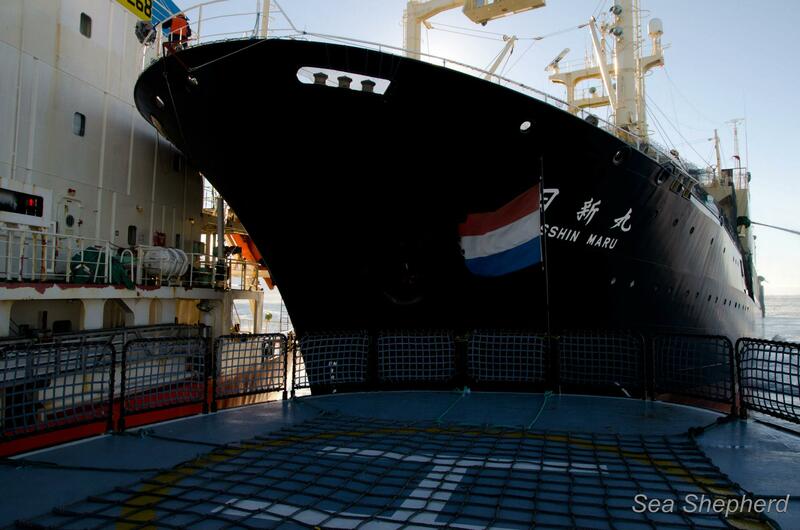 The Nisshin Maru repeatedly ramming all Sea Shepherd vessels is an immediate cause for concern especially for the many courageous volunteers aboard all Sea Shepherd vessels currently putting their live on the line to save whales! Thankfully everyone is currently safe and no injuries have been reported. 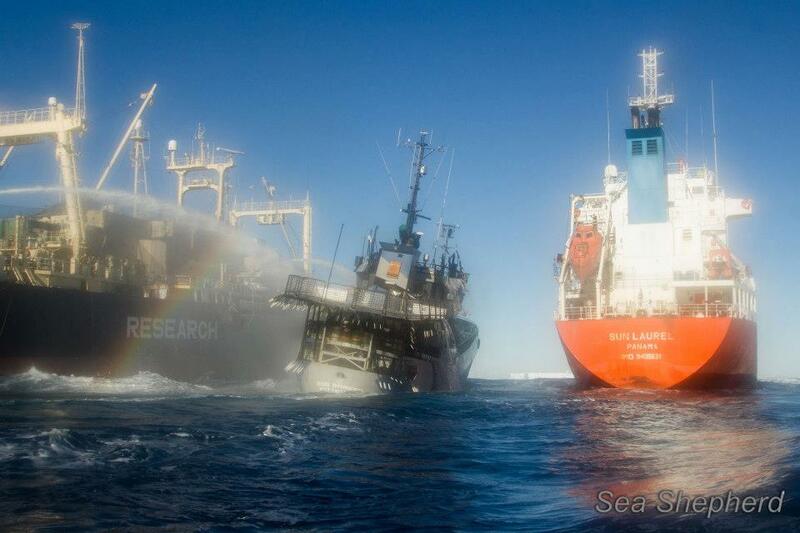 The following photos courtesy of Sea Shepherd Conservation Society on Facebook, show just how close the Nisshin Maru comes to and then collides with the Bob Barker. The End … of 2012-2013 Taiji Dolphin Hunt!